Before you go any farther, realize that this isn’t your typical PMBAR race recap post. No way I’m fit enough for that event. I did volunteer to run the Sassafras Gap checkpoint for the race, however. The checkpoint was far enough “out there” that I needed to camp at least on Saturday night, and then pack out on Sunday morning. I opted to camp Friday night, also, since I’m not so much of a morning person, and I wouldn’t have to get going at 4am to be at my checkpoint by race start time. 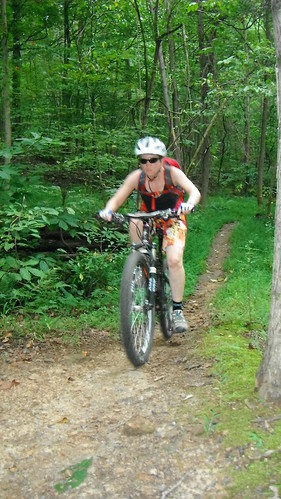 Yesterday the wife and I traveled to French Lick, IN to try out the mountain bike trails on the resort. It was a relatively short ride because both of us have been working hard this summer, and not riding nearly enough. These trails are climby, and they kicked our butts. On the plus side, we finished our ride with a 2+mi downhill which was well worth all the climbing earlier. You know what else characterizes these trails? Rocks. And tech. Fitting regular rides in along with working two jobs and significant volunteer commitments tends to leave the website feeling neglected. How about some pixels, some words, and some GPS tracks to make us happy? Even though I only had one day off over the July 4th weekend, I managed to squeeze in a couple rides. On July 4th, the wife and I made our first trip to Rangeline Nature Preserve in Anderson. We kept to the “novice” and “intermediate” trails for the day. Even the novice stuff isn’t true beginner trail. There are some techy spots that would have a true beginner rider walking. It’s definitely no Camp Glenn. That title fits this tune pretty well. It only sorta fit my ride. The temps outside were indeed freezing, but I was mostly fine. Except for my feet. I really need some winter cycling boots (a half size big so I can fit thick wool socks in them). I wore some Gore-tex ski gloves with Smartwool liners, a Buff under my helmet, Smartwool lightweight base layer, my EMS Windstopper N2S jacket, and my hardshell gear (Marmot Precip jacket and Mountain Hardwear Epic rain pants). I was warm enough to be sweating underneath, but as long as I kept moving, I stayed warm. Posted on December 7, 2013 Categories Gear, Mountain Biking, PhotographyTags Continental X-King, Fort Harrison State Park, mountain biking, mtb, snow rideLeave a comment on Snow Ride! Freezing! Sorry for the late post. After the BCBD, I moved into a new place and have been busy getting everything unpacked and organized. I’m mostly situated now, and I need to catch up on some posts. The 2013 Breakdown was a great time. I went down for the whole weekend on Friday evening and camped both nights. I got there a little on the late side, and wound up in a suboptimal campsite. 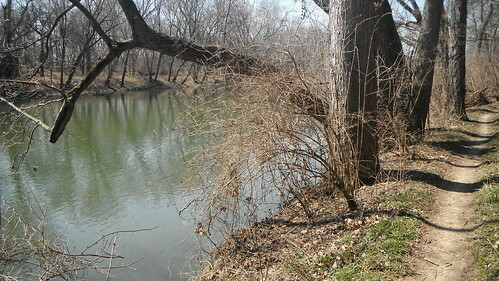 It wasn’t a bad spot, but it was out in the open and got hot in the sun. 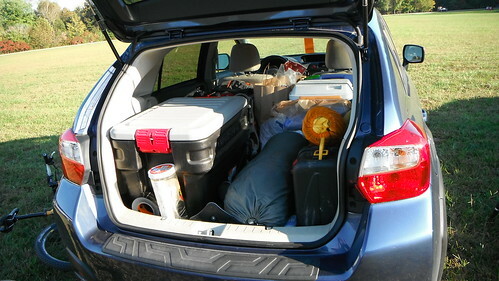 The Crosstrek held our camping gear well. It’s been quite a summer. I haven’t updated much because I’ve been working a lot and when I’ve not been working, I’ve been riding a lot. 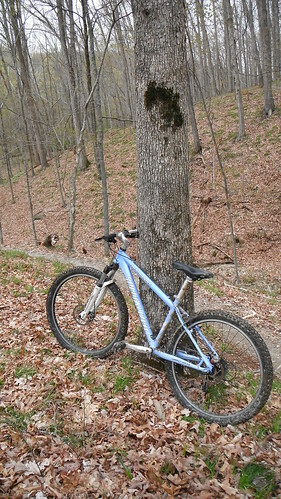 I’ve ridden a lot at Fort Harrison State Park. 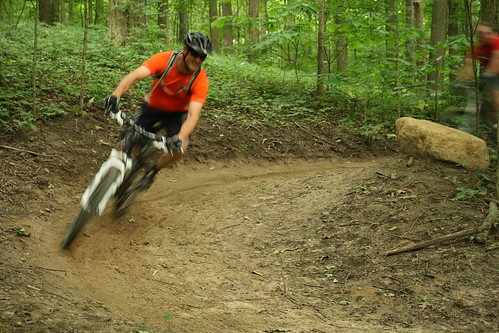 I’ve ridden at Town Run Trail a few times. 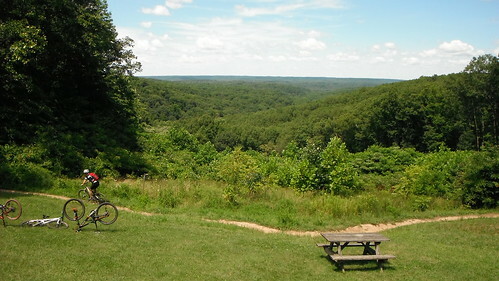 I’ve done a couple of bigger rides at Brown County State Park. I rode at Versailles State Park. Posted on August 5, 2013 February 26, 2018 Categories Gear, GPS Technology, Health and Fitness, Maps, Mountain Biking, Photography, Trailbuilding and DesignTags fitness, GPS, mountain biking, mtbLeave a comment on Busy Summer of Rides! 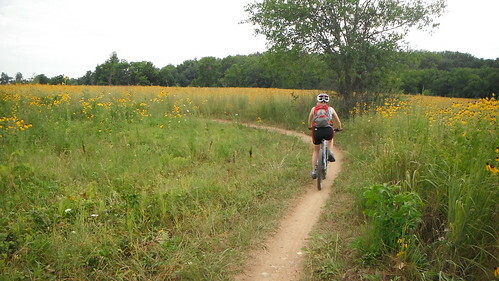 Last weekend, the wife and I made it down to Brown County State Park to hit the mountain bike trails for the first time. With my wife being more on the beginner-intermediate end of things, we didn’t venture onto anything tougher than Green Valley (no Walnut, Hesitation Point, or Schooner). We had a blast. 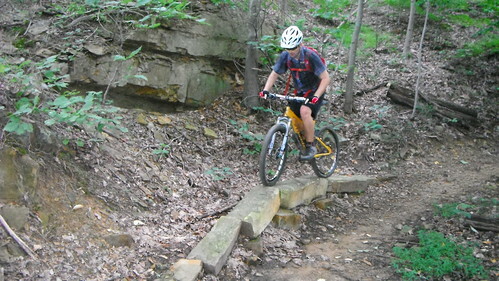 Got out today to attend a group ride put on by the Hoosier Mountain Bike Association at Ft. Harrison State Park in Indianapolis, IN. What a great place this is. I first rode here back in the summer and fell in love with the flowy trails here. They’re not super hard, but they’re a blast to ride. It’s also a good place to take beginners. There’s a little elevation change, but it shouldn’t be too much to discourage them if they need to work on their fitness. There’s a great beginner’s loop, too, where they can stay pretty close to the trailhead if they need to bail. I’ve been busting my tail on my thesis lately and not doing much else, so when a friend invited me out to Tyler SP on Sunday with the Morning Glory Yoga Run Club, I had to come. Most of the group was there to do a 16mi trail run in training for the Tyler Marathon. The longest run I’ve done has been just over 4mi (partially on trails, I might add) so I wasn’t up to that. But the time would give me the opportunity to do the whole ABCD loop. Got another ride in this weekend to make up for my ride being cut short yesterday. 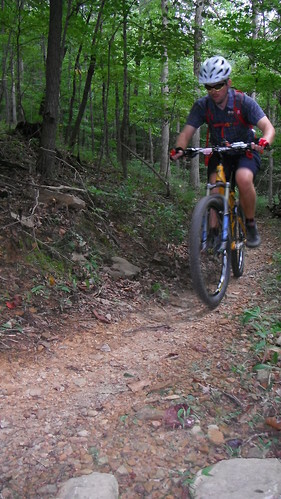 You know, it gets boring doing so many laps on a short trail network. I like getting in 15+mi, but to get that much mileage in exclusively at these trails, I’d have to do 2 more laps at least. Riding from my house lets me get those extra miles in and I’m certainly going to be going back to that.